One of the links in the article referenced above mentions there were a total of sixty-two illustrations. Only four were by Renoir. The others are from several different artists and a few are shown at Adventures in the Print Trade. The Rougon-Maquart novels are not a family saga, but Gervaise’s place in the family of Antoine Maquart serves to emphasise her tragedy. Her sister Lisa lives barely a mile away, confidently running a charcuterie and living a bourgeois lifestyle. But she might as well be on the other side of the planet: Gervaise’s life is a world away and their paths never cross. Would Lisa have rescued Gervaise if she knew about her circumstances? If you’ve read The Belly of Paris you know the answer to that question. The fatal mistakes Gervaise makes begin early: she’s only fourteen when she has her first child by her feckless lover Lantier, and when they run away to Paris together in hope of a better life, he spends his way through a small inheritance and then abandons her and the two young boys. It is typical of his moral cowardice that he leaves it to the older boy, Claude, to bring her the room key that signals his departure, that she is hard at work in the laundry when she finds out in this humiliating way, and that he had insisted that very morning that she pawn her shawl and her chemises, money which he has now used for his new adventure. To compound Gervaise’s misery, he has dumped her for Adèle, sister of Virginie, one of the other washerwomen, and a degrading cat-fight ensues over this worthless man. But as the novel progresses, Zola uses both Virginie and Lantier to show Gervaise’s fatal apathy when she lets them both back into her life later on. Zola’s characters are all marked by his view that human destiny is formed by heredity, environment and their place in time. Gervaise’s fatal flaw is her easy-going nature: she likes to please others and it’s easier to go along with the milieu that surrounds her. If only. 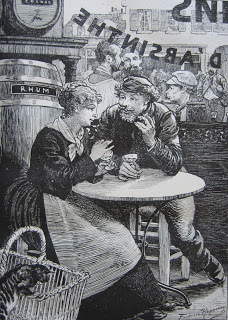 Consigned to the seedy parts of Paris at the time when Haussmanisation was impacting on working-class communities and industrialisation was replacing artisanship, Gervaise supports her boys as a washerwoman and eventually – not without some reluctance – marries Coupeau, a teetotaller with a steady job as a roofer. Despite their good intentions they get into debt with the cost of their marriage because of their desire to put on a good show for their friends, but with hard work, a prudent lifestyle and offloading the older boy to an apprenticeship in Plassans, they recover financially, and begin saving towards Gervaise’s dream of running her own laundry. But destiny steps in when Coupeau has a fall from a roof and can’t work for a very long time. This has two fatal effects: Coupeau gets used to idleness and Gervaise has to use all her savings to support the family (which has now grown to include their daughter Nana). One of Gervaise’s friends is the gentle giant, Goujet, a blacksmth. He loves Gervaise with a quiet passion, and he and his mother offer a loan that enables Gervaise to fulfil her dream. She moves her family out of their dingy rooms to a place of warmth and light, where she sets up her laundry to general acclaim. Industrious and careful, she is excellent at her work and everybody except her jealous in-laws admires her. But Zola has structured the novel so that this success is the high point of Gervaise’s life, and portents of her future are already there. Coupeau fills his idle hours by boozing with his layabout friends, and lovely little Nana who might have been a support to her mother later in life, is running wild. The friends who admire and like Gervaise are also only too ready to listen to malicious gossip about her from her sister-in-law Madame Lorilleaux, and they’re also only too ready to encourage a lavish lifestyle that Gervaise can’t really afford because she has a loan to pay back to the Goujets. It is heartbreaking to read about the downfall of this wonderful character. I suspect that it’s impossible to read L’Assommoir without becoming very fond of Gervaise. But apparently, (according to the introduction by Robert Lethbridge), Zola’s novel didn’t please anybody. Although it was a contemporary bestseller, conservatives didn’t like its dangerous socialist message and thought it proved that the working-class wasn’t fit to vote, and progressives were angry that it showed the underclass as feckless and irresponsible. But when we read it today we can see that Zola has rightly depicted some fundamental truths: that the underclass has the same hopes and dreams for themselves and their children as anyone else, but that their precarious finances make them vulnerable to life events which can plunge them into disaster from which there can be no return. Zola could not have written this novel the way he did, had there been a safety net to tide the family over Coupeau’s injury, and workers’ compensation for his inability to get back to work. Squalor descends and at first Gervaise does little but shrug her shoulders in resignation. She didn’t run after her man; indeed if she caught sight of him in a bar she’d go the long way round so as not to make him angry. (p.266) But the time comes when she thinks she may as well join the men in a drink, and then – despite her kind heart and good intentions – it’s all downhill from there. Lantier is after her, and after her business, and everything he does conspires to bring Gervaise down so that he and Virginie can have their revenge. Gervaise, meanwhile, was trying her best not to burst into tears. She reached out with her hands, wanting to comfort Lalie, and as the ragged sheet was slipping off she pulled it right down, intending to remake the bed. The poor little body of the dying child was thus exposed. Lord Jesus, what a heart-rending, pitiable sight! The stones themselves would have wept. Lalie was quite naked, with only the remnants of a bodice round her shoulders to serve as a nightgown; yes, quite naked, the nakedness of a martyr, bleeding and tortured. There was no longer any flesh on her, her bones poked through her skin. From her ribs to her thighs thin purple weals reached down, where the whip’s bite had left its vivid imprint. A blue-black bruise circled her left arm, as if the jaws of a vice had crushed this delicate limb, no thicker than a matchstick. On her right leg, there was a gash that hadn’t healed, some nasty wound that must have reopened each morning as she hurried round doing her chores. She was nothing but a bruise from head to toe. Oh what butchery of childhood – that dear little chick crushed under a man’s heavy foot; what infamy – that feeblest of creatures dying under the burden of such a cross! People in churches venerate martyred virgins whose naked flesh is not so pure. Gervaise had crouched down again, forgetting to pull up the sheet, overcome by the sight of this pitiful nothing, lying there sunk into the bed, as with trembling lips, she tried to say a prayer. ‘Please, Madame Coupeau…’ whispered the child. It’s not possible to read this without thinking of today’s little children brutalised by their own parents: Chloe Valentine, Daniel Valerio and the anonymous ones still suffering unchecked abuse. Alcohol used to excess, and now the use of illicit drugs too, still combine with community indifference to allow these things to happen. Gervaise, notwithstanding her tears and prayers, leaves the surviving small children to their fate. Zola shocked his readers with L’Assommoir and it seems tragic that in the 21st century we still rely on shocking media stories to force action in this area of need. (If you have time, do read ‘Child abuse and the media’ by Chris Goddard and Bernadette J. Saunders (2001) on the Australian Institute of Family Studies website – it makes it clear that it is media coverage prompting public outrage that gets action on family violence). 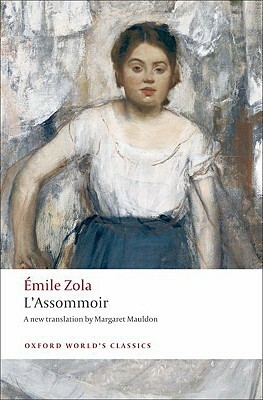 Given its sordid subject-matter, why is L’Assommoir the favourite Zola novel of so many? I think it’s because of the brilliant way this novel is structured to make the reader care about the central, lovable character of Gervaise. The novel’s realism captures the environment in which this humble woman rises to success and then stumbles into tragedy. Instead of judgemental moralising, Zola depicts the pathos of her fall with careful observations that show her helplessness to save herself or anybody else. Well, what next, to surpass this masterpiece of Zola’s? It’s L’Œuvre (1886) (The Masterpiece), the story of Gervaise’s son Claude, the struggling artist in Paris. I’m going to love that one, I’m sure, because I always enjoys novels about artists. Do yourself a favour: do not read the freebie editions that you can download: Zola used 19th century vulgar colloquial slang for much of the dialogue, which will either be sanitised or excised from the freebies, or incomprehensible if you try to read the original in French. This title is notorious for being very difficult to translate for contemporary readers. I recommend this translation by Margaret Mauldon (which also has a comprehensive introduction about all kinds of aspects that I haven’t covered here i.e. the politics of the era and the symbolism), but the OUP edition is (of course) the only one I’ve read. However, whatever you choose, make sure that it is a recent translation, uncensored and with annotations that explain the geography of the novel; the significance of the ribald songs and slang; and the cunning way that Zola made allusions to politics in ways that evaded trouble at a time when there was savage repression of any political critique. L’assommoir was first published in 1877 and was the seventh book of the Rougon-Macquart series. The title is variously translated into English as The Drunkard, The Drunk, the Dram Shop and the Gin Palace. Like many of the colloquialisms in the original text, the title cannot be translated exactly: it refers to a drinking place selling cheap booze distilled on the premises and it plays on the French verb assommer which means to stun, or render senseless. The main character is Gervaise Macquart, daughter of Antoine Macquart and sister of Lisa Macquart who features in The Belly of Paris (1873-4). The young Gervaise’s courtship with her teenage lover Lantier is recounted in the first novel of the series, The Fortunes of the Rougons (1871) and L’assommoir takes up the story from their arrival in Paris. Please note that this is a plot summary so full plot developments are revealed. 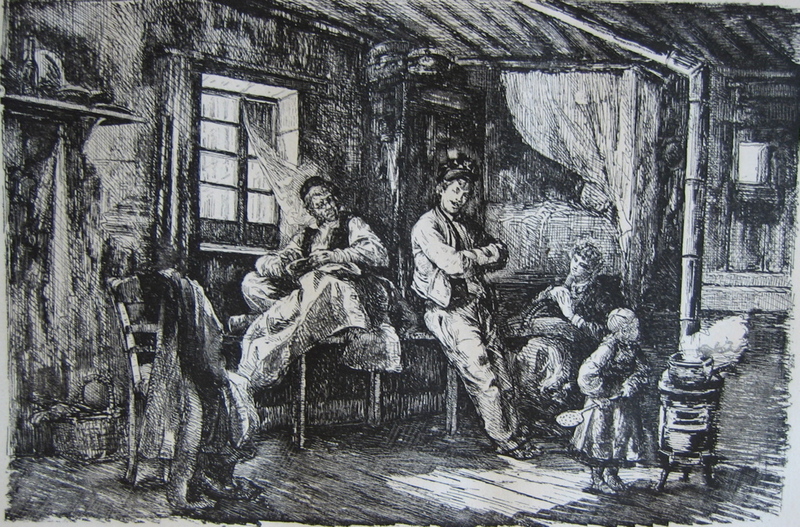 Lantier and Gervaise are living in squalid conditions with their two small children Claude and Étienne, in a rooming house; they quarrel. Later, Gervaise is at work in the laundry when little Claude arrives bringing the key to their room, and the news that Lantier has left her. Madame Boche pretends sympathy for Gervaise, but enjoys telling her that Lantier has been seen with Adèle, one of the other women who works in the laundry. There is a vicious cat-fight between Gervaise and Adele’s sister Virginie, and then Gervaise goes home to discover that Lantier has taken everything, even the pawn tickets for her clothing. Three weeks later, Gervaise and Coupeau the roofer are enjoying a drink at Père Colombe’s Assommoir. He wants to marry her but she demurs. She tells him that she’s not really interested in men, and that she had only taken up with Lantier to please him because she was too soft-hearted. She had hoped to live happily ever after but it hadn’t worked out and she doesn’t want a man. But she finds his voice coaxing. Neither Gervaise nor Coupeau are drinking spirits, Gervaise because she saw the damage done in her family and Coupeau because his father, also a roofer, had been killed when he fell down from a roof when he was drunk. They leave the assommoir together, Coupeau to visit his sister Madame Lorilleaux who is married to a gold chain-maker. He usually eats with them, to save money. When they reach the building he suggests that they could live there together in one of the rooms for let, but she refuses. They continue to see each other, however, and eventually he pressures her into agreeing to marry. Coupeau takes Gervaise to meet his sister and her husband in their dingy home, where they manufacture gold chains. The Lorilleaux are rude and unfriendly because they don’t think Gervaise is good enough for him, and they will miss the money Coupeau has brought to their housekeeping. Gervaise hadn’t wanted a big wedding, but they end up spending a lot of money that they don’t have, to impress their friends and have a good time. The rain puts a bit of a damper on things, and the priest is a surly fellow who spoils the mood further. When they decide to visit the museum (the Louvre) to kill time before the wedding feast, they get lost inside the maze of rooms. Eventually they sit down to the meal – where everyone eats and drinks to excess – and Coupeau has to borrow more money to settle the bill. Gervaise is embarrassed by the drunken spree, and humiliated when Madame Lorilleaux calls her by the insulting name of Banban to her face. Four years of hard work and prudent saving follow. The couple have paid off the debt from the wedding, and an offer from an eccentric art collector to educate the older boy in Plassans has reduced the strain on the budget. Gervaise works 12-hour days at Madame Fauconnier’s washhouse, but still keeps her home clean and neat. Coupeau works industriously as a roofer, brings his pay home and doesn’t drink. They are able to move into a nicer place in time for Gervaise to have her baby, Anna, nicknamed Nana. Even the Lorilleaux bring christening presents and all is going well. At the christening dinner they become friendly with their neighbours the Goujets, an elderly mother and her son, a handsome blacksmith who is nicknamed Gueule-d’Or on account of his golden beard. He is a shy man, and Coupeau teases him but Goujet saves his life one night when they go sight-seeing the riots on the second of December. [Louis Napoleon’s coup d’état in 1851]. After that they are close friends. Disaster strikes when Coupeau falls from a roof and is badly injured. Gervaise has been saving industriously to achieve her dream of having her own washhouse but their savings vanish in medical bills and Coupeau is unable to work for months. But the Goujets are very good to them and finally they offer to lend Gervaise the money to start up her own laundry, using the money that had been intended for Goujet’s marriage. Gervaise’s laundry is a great success. She is honest, reliable and careful with the clothes and all her customers admire her. Madame Lorilleaux is jealous and constantly snipes about Gervaise behind her back, and the locals enjoy joining in any gossip, but Gervaise is obliging and kind-hearted and she is ready to forgive the whole world. She indulges Coupeau who is still not at work and has started drinking, because she would rather have peace at home than nag him about it. At first he is a good-natured drunk, drinking wine rather than rotgut spirits, and wanting to kiss his wife rather than do her any harm. But as time goes by Goujet – who is a frequent visitor, nursing his unspoken love for Gervaise – has to protect Étienne from Coupeau’s kicks, so he takes him on as a future apprentice at the bolt factory. Nana, however, at only six years old, is starting to run wild. Madame Coupeau is now too old to work as a cleaner any more, and since her daughters Madame Lorilleaux and Madame Lerat won’t have her, Gervaise takes her in. Gervaise starts visiting Goujet at the forge, on the pretext of seeing her son Étienne. She watches the men make bolts by hand, and is then taken to see the machines in the adjacent factory manufacture the same bolts in a much shorter time (which is why Goujet’s pay-rate has been cut from 12 to 9 francs a day). Every Saturday Gervaise also visits Madame Goujet to deliver the washing, which she has been doing without payment in part-payment for the loan with the remaining money coming from the laundry takings. She had paid off about half of the loan like this when one day one of her creditors hadn’t paid her and she had to borrow more money to pay the rent on the shop. Then she was short to pay her workers on a couple of occasions, and now she has slipped into the habit of paying these loans only through not charging for the washing instead of with her earnings. Money is being frittered away because she has become self-indulgent and likes to have little luxuries. But on this occasion she needs money to pay her coal supplier and so she asks for payment for the washing. Madame Goujet rebukes her only mildly, reminding her that it’s no way to pay off the debt. On the way home Gervaise bumps into Virginie, the girl she had the fight with at Madame Fauconnier’s. They become wary friends, and enjoy gossiping together although Gervaise is uneasy about the way Virginie keeps bringing up the subject of Lantier. Gervaise finds herself visiting Goujet more and more often at the forge because it is a refuge from her fears of Lantier’s return. Things take a turn for the worse, however, when she is returning home one day and sees Coupeau drinking rotgut spirits. She is already deep in despair when she returns home to find the building in an uproar because – witnessed by his own small children – M. Bijard is viciously beating his wife. Gervaise puts on a lavish feast to celebrate her name day, even pawning her wedding ring to pay for it all. Coupeau has to be dragged out of the assommoir to join the guests, but is grumpy and sour. At the last moment when Madame Coupeau can’t attend because of her sciatica, Gervaise invites Père Bru to join them so that there isn’t the unlucky number of thirteen at table. Everyone is singing drunken songs when they become aware of Lantier out on the street observing the party through the window. Coupeau goes out to ‘sort him out’ but comes back bringing Lantier as a friend to join the party. Lantier becomes a regular visitor, ostensibly to see his child Étienne but inveigling his way into the household. Coupeau enjoys going out boozing with him and he invites him to move in – but in order to accommodate him, they have to make inconvenient adjustments to the laundry which hampers the work to be done. Lantier is a layabout who pays neither rent nor board, and he discourages Coupeau from taking even casual work, but he worms his way into their affairs and Gervaise’s unease grows. One day when he almost kisses her, Goujet witnesses it and is very upset. Gervaise denies any interest in Lantier, but Goujet doesn’t believe her. He shocks Gervaise by offering to take her away, somewhere like Belgium and she refuses because she wants to retain some dignity as a married woman with children. Madame Bijard dies an excruciating death from kicks to the belly, and on her deathbed exonerates Bijard so that he escapes the scaffold. Coupeau goes on an extended bender with Lantier, and doesn’t come home for several days, giving Lantier the opportunity to make a move on Gervaise. They go to a café-concert together, and when they return home they find Lantier in a deplorable state in the bed. Lantier invites Gervaise to his bed because she can’t step over the vomit and filth to get to her own. She gives in, blaming Coupeau, and little Nana sees her as she makes her way to Lantier’s room. Things go from bad to worse. Madame Coupeau is grumpy and bad-tempered as she goes into her final decline, and the household is disorganised. Madame Lorilleaux is gossiping about Gervaise and Lantier so the whole neighbourhood knows, and Madame Goujet takes Gervaise to task about the laundry not being done properly, sacks her and demands that some money be paid off the loan. Goujet privately countermands this but he is so hurt by her behaviour with Lantier that he asks her to go. Gervaise leaves the quiet, orderly home with feelings of regret but she no longer cares about the fecklessness, poverty and squalor at her own house. They scrape along, Lantier and Coupeau taking it in turns to knock her about. Some days they have nothing to eat at all, and to Gervaise’s humiliation, Lantier suggests letting Virginie and her husband take over the laundry. In the miserable winter, Madame Coupeau dies, but they put on a good show for her funeral even though they have no money to pay for it. Gervaise is stunned when Goujet goes away without helping her with a further loan, and she succumbs to the demand that she hand over the shop to her rival Virginie. The Coupeaus have moved into two rooms on the sixth floor and Gervaise has to bear the humiliation of the Poissons moving into her old home and setting up her old laundry as a fine grocery. Lantier, while still compromising Gervaise’s reputation with regular visits, is now setting his cap at Virginie. Coupeau thinks it’s a fine joke when Lantier cuckolds M. Poisson with Virginie, and Lantier makes it his business to make sure that the two rivals remain friends, at least on the surface. Nana makes her First Holy Communion and she is apprenticed to Madame Lerat (Coupeau’s sister) as a flower-worker. But the winter is very severe, and everyone in the neighbourhood suffers from the harsh weather. In the old days many of them came into Gervaise’s laundry where it was always warm, but now they shiver in unheated rooms or worse. Gervaise sinks so low that one day in despair she even finds herself calling on M. Bazouge the undertaker to beg for death to take her. He laughs at her, telling her that death comes in its own good time. On the way back to her room, Gervaise feels ashamed of her despair when she sees the courage of her neighbour, eight-year-old Lalie Bijard – who has become mother to her smaller siblings and endures the same brutal beatings that had killed her mother. Coupeau’s drinking has become so extreme that he is sometimes admitted to hospital at Sainte-Anne with delusions. He can’t be relied on for anything, and Gervaise drinks with him because she might as well. She drinks anisette, the very drink she had decried as so pernicious in her youthful days of optimism. She gets so drunk that Lalie fears her. Gervaise is starving. Everything has been sold and she is so desperate she asks Madame Lorilleaux for help but is refused. She goes into the Bijards, where little Lalie has kept everything scrupulously clean despite her poverty. But Lalie is in bed, desperately ill, and as Gervaise sees to her horror that the child is covered in whip marks, M. Bijard arrives, roaring drunk and waving his whip to attack her again. Gervaise takes the whip from him but she cannot make herself stay to watch the child die. She goes out into the wind and snow to get some money from Coupeau who’s boozing in the assomoir with his pal Mes-Bottes, but he insults her and she goes off to beg in a wealthier part of Paris where Houssman’s demolitions have created vast new avenues and splendid new apartment blocks. She decides that she will prostitute herself, but she is too ragged and filthy for anyone to want her. In the depths of her degradation she approaches old Père Bru, who is also begging there. Finally she meets Goujet, who in pity takes her home and gives her something to eat. In shame she mistakes his love for desire and opens her bodice, but all he wants from her is a kiss. He is so overcome by what she has become and the loss of his dreams about her, that he draws away from her and she flees into the night. Back in her room she is overcome by despair and goes grovelling to Père Bazouge the undertaker, begging him to do away with her. Gervaise scrounges some money from her son Étienne but soon receives notification from the hospital at Sainte-Anne that Coupeau, who has been missing from home again, is dying. She takes her time about getting there, having little feeling left for him. He is suffering delirium tremens and hallucinations and is at death’s door. The doctor warns her that she will suffer a similar fate if she drinks too but she is too far gone to care. She goes back home to the news that Virginie now has everything that she once had: the shop, money, and now Lantier as well. Review copy courtesy of Oxford’s World’s Classics. L’Assommoir was first published in 1877 and has been translated as L’Assommoir, The Drinking Den, The Dram Shop etc. This excerpt from Angus Wilson’s “Afterword” (Signet Classic, 1962) sums up all that is so extraordinary and so depressing about the seventh novel in the great Rougon-Macquart chronicle. Setting out to write about every aspect of French society under the Second Empire, Zola crafted twenty exquisitely detailed novels over the course of two decades at the end of the 19th century. His formulation of literary Naturalism, where the writer attempts to study objectively and analyze human society through the lives of his/her characters, was so influential that it drove Stephen Crane, Frank Norris, and Theodore Dreiser, among others, to craft their own versions of American naturalism. Zola believed that the novel should dive below the surface of everyday life, revealing the dirt, gossip, waste, greed, hostility, and bitterness that other writers refused to acknowledge. Inspired by the discussions of human evolution and natural selection raging around the world at the time, Zola wanted to use literature to expose and acknowledge the animal in all of us, the most basic instincts that still drive us no matter how “civilized” we attempt to be. He saw himself as a student of human behavior, and subsequently left a remarkable chronicle of one nation on the cusp of enormous change. 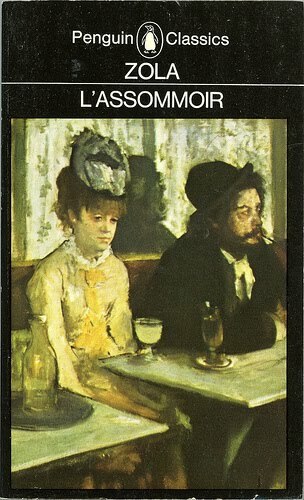 L’assommoir, a story of poverty, vice, and the wine shops that fueled the two, is one of those Zola novels that is hard to read, at times. For twenty pages, sometimes, Zola will describe in great detail scenes of domestic abuse, drunken rages, starvation, and sickness. It all adds up, ultimately, to a dense study of one part of the Rougon-Macquart family- the Lantier-Coupeaus, whose descent into abject poverty is tragic because it is so unnecessary. Focusing on Gervaise, an impressionable and easily-persuadable girl, Zola asks us to understand the forces that ultimately drive her to an early death. Precisely because she is a trusting, good-natured young woman, Gervaise is taken advantage of by several men, and yet despite this, she manages to open a successful laundry. But as in all Zola’s novels, when things are going well you just know that the crash is coming. As her husband descends into drunkenness, helped along by many friends who encourage him to join them in the many bars and wine shops of the slum, Gervaise slowly loses her own drive and wish for respectability. As her business grows, so does her indolence and appetite, until she runs up massive debts and loses everything. The slow- very slow- decay of her life, underscored by the desertion of her children (one becomes a prostitute, the central figure in a later novel, Nana), is painful because, despite everything, Gervaise continues to hope for happiness. Following her husband into a life of drunkenness, she forgets everything that she used to want in life. Malicious, gossiping neighbors and family members drive the stake in harder, until Gervaise has lost her will to live. L’assommoir, then, is the kind of book that smacks you on the head with a figurative iron skillet, leaving you stunned, exhausted, but ultimately more compassionate and thoughtful. Zola presents us with unanswerable questions about nature vs. nurture, and the extent to which anyone can resist the pull of their own genetics. Oh, and the dude can write. So go find yourself a copy of L’assommoir and let me know what you think.